Are you thinking of buying best performing wired earphones under 1000 in 2019? No need of being confused and carried away by some cheap and less-trustworthy product. You can confidently go for the below top five performing wired earphones under 1000 in 2019. All these have been widely accepted by Indian customers. They are known for their ultimate performance track record. Inspired by the immortal name in the world of music, Bob Marley, House of Marley holds a pivotal place in the heart of music enthusiast. EM JE041 is a well-crafted product from House of Marley. The most impressive feature of this earphone is its built. The back part of earplug is made up of wood. Yes wood! Neither plastic nor metal. This gives it a great durability, look and damping property. Its wire is completely braided with high strength fabric that protects it against any rough usage. Also, it helps to reduce entangling, that you often experience with rubberized wire. With all these features these earphones give years and years of uninterrupted performance. The look is also great. It looks so classy and premium that you are going to fall in love with it. Coming to its sound quality, it’s very balanced. Unlike some of the earphones that are particularly good at some points like bass or vocals, EM JE041 keeps a balance of all. The noise cancellation is also very effective with the soft and elastic earbuds. You get two extra pairs of earbuds too. Also, the wooden material at the rear helps in damping sound. It comes with microphone and a control button to pause and play music. Thus, you can go for this popular earphone in 2019 if you want to invest in something that is going to last almost forever. It comes with a 2-year warranty, that’s great. 2. Sennheiser CX 180 Street II In-Ear earphones. CX 180 from Sennheiser stands second on our list. If you are looking for a dedicated earphone for music( that is without microphone), it’s the best choice without any doubt. It’s one of the most bought and satisfying earphones under 1000 in India. I found the earphone amazing. The earphone is crafted with every little detail as expected from Sennheiser brand. The earphone plug is made of rubberized material plus metal. Though the wire looks thin, its quality is very good, so you don’t need to worry. The logo at the center reading “CX 180” also looks very cool. There is also a logo on earplug, so branding done is appreciable. The earphone’s 3.5 mm jack is gold plated. It’s very ergonomic in design, fits snugly in your ear with soft elastic earbuds. You get two different sized earplugs too. There is also a small fabric clip to keep it organised while using. Coming to its sound quality, it’s again awesome. Everything, I mean bass and vocals are deep and clear, overall very balanced sound. Especially, the bass, you will love that. It’s comparable to many costly earphones. The earphone also comes with 2 years of warranty which is again something rare to find. The only downside I can see is that it doesn’t have a microphone. You don’t need to worry about sound quality when it’s JBL, one of the most trusted brands in the world of speaker and headphone. The earphone is very soft and light. It’s ergonomic design make sure that you are always comfortable with it. Also, the snug fit helps to immune from any kind of external noise and disturbances. It sounds wonderful with deep and loud bass. You are going to fall in love with this earphone. Another great feature of the earphone is that it is microphone enabled. And you can take/reject call with just a single button on it. It can also play/pause music and change the track. And you get all these features from a trusted brand like JBL. Isn’t that the best deal to have one of the most popular wired earphones under 1000 in 2019? When you are looking for a wired pair of earphones under 1000 INR in 2019, you will see very limited good options available in the market. Anyways 1More piston Fit is a great earphone to have under 1000. You might have seen many reviewers suggesting it so let’s talk how good it actually is? You can buy the 1More Piston Fit Earphones in 4 different colours; Pink, Silver, space gray and teal. It comes with a L-shaped gold plated headphone jack. Also, the wire is made up of a rubberized material. The quality of the wire is good and steady but it gets tangled easily. You also get a mic and pause/play button which can be also used to accept/reject calls. There are no buttons for controlling the volume. The earphones are made up of good quality material and they are tilted at 45 degrees to provide you a perfect fit. They do not fall out of your ears even when you workout with them during your gym session. Now, let us talk about the sound quality of 1More Piston Fit earphones. In fact sound clarity is the major selling point of these earphones. They are one of the best wired earphones when it comes to the bass and sound clarity. They provide a rich amount of bass in music though the bass is not as powerful as what you get in the Bassheads 225. The mids and lows even sound really good. You can listen to every beat of the song when you are on 75% volume. They also get pretty loud as you increase the volume. 1More piston Fit wired earphones are the best earphones under 1000 INR at least in terms of sound quality because they produce crystal clear sound quality. Another popular earphone from JBL at an affordable price. T100 uses 8 mm driver to produce high clarity, accurate and deep sound. Its bass and treble are equally mesmerizing. Whether you want to use it on phone to listen music or on laptops to watch movies, it’s going to offer you a satisfying experience. The earphone comes with an inbuilt microphone. So, can take your incoming calls without taking out your phone. With just a single button it allows users to receive phone/reject calls and play/pause music. Enjoy music with the best brand in your tight budget for wired earphones under 1000 in 2019. Skullcandy is another well-known brand with a wide pool of trusted users. JIB S2DUDZ-003 is its one of the popular earphone that comes at a low price. You can use it anytime, while jogging or indoor use. Its cable measures 1.2 meters in length. It employs a 10 mm driver. The earphone is very sleek and light with a sporty look. It can be used for long hours without any irritation. You can choose the earphone from eight different colour options. Note: Comparing with other earphone under 1000 after 4 to 5 months usage, I didn’t find the build or sound of this earphones that good. It looks very cheap and sound quality is poor. Better don’t buy this. This in-ear type earphone from Audio Technical is widely accepted by customers all over India. It produces crystal clear digital sound with high clarity. The earphone employs speakers measuring 8.5 mm. It comes with a long 1.2 meters cable and is quite light with a weight of just 14 gm. You also get a free cord wrap with the earphone that is quite helpful while traveling. You can choose the earphones from eight different color options. It’s a universal type earphone device compatible with most of the phones, tabs, and mp3s. Here is an affordable earphone from Sondmagic, a trusted brand in India. Featuring a 10 mm Neodymium driver it produces powerful sound with deep bass. The earphone is sporty and cool in look. Not just great in look, it’s sturdy and durable too. You would not experience any kind of colour fading as it happens with cheap quality earphone. The design of earphone automatically blocks exterior noise with its snug fit. Play any genre of music rock, country, folk or blues, you would be amazed by its sound quality. You can go for this under 1000 earphone in 2019. Mi is a well known Chinese company that has taken the Indian mobile market with a bang. Here is a lightweight, fine finish earphone for you from Mi. This under 1000 Mi earphone produces powerful sound through its durable Aluminium alloy sound chamber. The earplugs are specifically angled to give right fit and employs silicone material. It’s a universal kind of 3.5 mm earphone that allows you to answer or end phone calls and also play or pause your music. Boat has become quite popular name in the world of earphones, headphones and speakers in recent time. BassHeads 100 is having both, good look and sound quality. It comes with a cool remarkable design matching hack’s beak. The soft silicone earbud gives right fit for complete noise cancellation. The earphone supports microphone and control button for play, pause, forward and reverses music. Boat BassHeads 225 Special Edition Earphone is a great pair of Wired earphones under 1000. Let us take a look at its features and specifications. Boss BassHeads 225 has HD Clear Sound Technology so you will get crystal clear audio quality. You also get Super Extra bass with these earphones with a Powerful 10mm driver. You will have a great audio experience with these earphones, better than any other pair of earphones in this price range. Let us now talk about the build quality of these pair of earphones. The Earphones are made of Polished metal which makes them not only look good but also increases the durability. It is also quite lightweight. The earphones weigh just 50gm so you can easily carry there anywhere without any hassle. The cable of Boat BassHeads 225 is tangle free which is another great thing as your earphones won’t get tangled easily. You also get L-shaped 3.5mm jack which is another good thing. As the jack is L-shaped, it will be easier to use your smartphone while the earphones are plugged in. Designed for outdoors you can attach the ear hooks to get a secure fit while doing fitness activities like running etc. These ear hooks are provided with the earphones. There is an inbuilt microphone that you get with the earphones which works pretty fine. Overall, It is a great pair of earphones at this price range and it is quite better than its competitors in this price range. TAGG Metal in-Ear Wired Earphones is priced very aggressively. You can definitely buy these wired earphones by Tagg if you are looking for earphones under 1000 in 2019. TAGG is already very popular brand with its successful series of wireless earphones like Tagg inferno, Tagg inferno 2.0 and Tagg Sports Plus. This on is budget oriented wired earphone from Tagg. TAGG Metal in-Ear Wired Earphones has a superior design. It’s outer shell is made up of aluminium alloy. That looks very sturdy and shiny. There is this branding of tagg on both the earpieces. The glossy finish on the earpieces really looks very stunning. The earphones are shiny silver while the cable and earbuds are black in colour. This colour combination gives it a cooler look. The Earbuds offers a 45° cavity design which fits in the ear quite well and it does not pains even in long term usage. It also supports microphone that comes with a single button control. This single button is capable of doing everything by itself. It can Play/Pause the song in single click, play previous track in triple click, Play Next track in double clicks. Single press to accept/Reject calls and a long press to reject incoming calls. This single button can be little confusing in the beginning, but it will be fine after using the earphones for some time. Now, coming to it sound quality. It produces super quality sound. The mids are a bit recessed. The bass is pretty impressive for the price. The overall audio quality is quite good. You will love that. The quality of the cable is also great. Also, the 3.55mm jack is gold plated. These two things increase the lifespan of TAGG Metal in-Ear Wired Earphones. Concluding, these earphones provide good audio quality and other things like build quality and design are also pretty impressive. You should definitely consider getting these earphones under 1000 budget. Realme is a brand which rocked in 2018 with their great smartphones in the budget and mid-range price segment. In early 2019, they announced their new Realme buds wired earphones. In no time it has become one of the most popular earbuds on amazon under Rs 500. The real question here is whether these are the best earphones under Rs 500 in 2019. Today, we will be answering this question. Realme Buds Review: Best Earphones Under Rs 500 in 2019? Realme buds is a wired earphone which is available at an affordable price tag. They offer some really cool features such as Build in magnets. With these built-in magnets, you can stick both of your earphones together when not in use. It’s a very convenient feature and these are the only earphones which offer this feature at this price range. The cable these earphones is a combination of rubberized and braided material. Also, the earphones are made up of good quality plastic. Overall, they offer a very premium build quality which is very hard to find at this price point. They come with 45% curved design which means that they offer better comfort and good noise isolation for their price. You do not get such build quality in any other earphones of this price range whether it is the Sennheiser cx 180 or mi basic. This definitely means that they are the best earphones under Rs 500 in 2019 in terms of build quality. Though, the audio jack is still not gold plated. Now, let us get to the sound department of these pair of earphones. They offer an average sound quality. Realme claims that they have a 160% louder bass which does seem to be true as we have found the bass to be a little boosted in our testing but Boat bass head 225 offer a better amount of bass at the same price. The mids seem to be a little bit disturbing sometimes which is not the case with the MI basic or the cx 180 earphones. Few pros and cons of this pair of earphones are provided below. They also offer 45% curved design for better noise isolation. You also get 3 buttons remote with these earphones. It does look very stylish and premium. Sound quality is not so good as others in the same price range. The audio jack is not gold plated. Realme buds is a really good pair of earphones but it does not offer so good audio quality. There is no doubt that they have the best build quality and premium design but Sennheiser cx 180 and Mi basic are still better when it comes to audio quality. Though if your preference is build quality and you are not a music enthusiast then the Realme Buds will definitely be the best earphones under 500 in 2019 for you. Known for its exclusive range of electronic products, Sony is a trusted name with wide customer pool all over the world. Sony MDR-AS210 is also a great creation by Sony. The earphone is specially designed for outdoor activity. So, if you are looking for earphones for running or earphones for the gym, this can be a perfect solution. Thanks to the adjustable loop-like design of Sony MDR-AS210, that gives you a snug fit while you are running, jogging, playing, doing exercise or working out in a gym. In short, it’s the best-wired earphone for sports. Its adjustable ear loop gives a personalized feeling to you, so anyone with different size and build of the ear can use it conveniently to get the best fit ever. The wires and earlobes are well lined with high grip silicone material that forbids it from falling out and also helps in making Sony MDR-AS210 a durable product. These are serrated one that keeps you away from the irritation of tangling wires everytime you want to use the earphone. Also, the wire size is long enough measuring 1.2 meters. Thus, you never have a problem while you are running or stretching your body as you play games or indulge in some sports activity. It’s a common experience that in the case of short wire you get the jerk that often leads to falling out of earphones. Another great feature that makes this earphone suitable or sports activities is, it is sweat proof and splash proof. Thus, you don’t need to worry about your sweating as you work hard and play around. Comming to its sound quality, this impressive earphone features a 13.5mm driver producing a frequency from 17 to 22,000 Hz. With this, you get a crisp and detailed music output keeping you high and motivated while you are struggling, practicing and burning out your calories. The earphone is also quite light with a weight of just 9 gm. So, you never feel overloaded and burdened. If you are looking for a good quality earphone and are tight on budget at the same time, Philips SHS3300BK is going to be the best candidate for you. If you have earlier used Philips product you must be confident in the quality and performance. Anyways, if you have not I can assure you, it’s wonderful. SHS3300BK is designed for sports and outdoor activities. It’s on the ear clip design makes sure that the earphone fits strongly as you run or play. You get a great stability on your running track or playground. The earlobes are good for comfort with the flexible clips that fit on every ear. Comming the sound quality of SHS3300BK, it’s good with deep bass. You would love the clarity and details of sound coming out of it, something unbelievable at this price. that makes it much sensitive. Another good feature of the earphone worth mentioning here is its intuitive design that allows you to get the cable from behind the neck. You already know how irritating it is to have those hanging wires around your chin. The earphone has a long 1.2 meters cable that is again very helpful for your outdoor activities like jogging and gyming. Philips SHS3300BK is also quite lighter in weight measuring 18 gm. With all these features and great characteristics, it’s a must to have earphone in 2019 available at an unbelievably low price. Panasonic RP-HS34 is another popular contestant in the under 1000 earphones categories in India. The gadget is crafted for all the active souls who indulge in outside activities and sports. So, if you are a sports person or fitness freak who love to jog, run, tread and play. The earphone has an adjustable ear clip that is made from flexible rubber, it matches the shape of your ear. Thus, your earphone is never going to fall again no matter how hard you work out. Apart from good flexibility, it has got an adjustable mechanism that lets you have a close fit. Look wise also the earphone looks quite stylish and cool. The earlobes have some work of metal( Aluminum) that makes it shiny and sturdy at the same time. When you talk about its sound quality, its powerful with good bass, thanks to the 14.3 mm driver units on it. The earphone has got a frequency response of 10 Hz to 25 kHz which is perfectly fine for clear and loud music. The drivers are made from Neodymium magnets which are known to provide the best results. Panasonic RP-HS34 is sweat and water resistant that makes it quite useful for sports people as they always fear of getting their earphones affected by sweat coming out from the body. It has got long Aluminium wire that is copper cladded. The wire length is also considerable measuring 1.2 meters, so you don’t get any problem of wire shortage. That’s an important point that often leads to damage to the earphones due to jerks. This one is amazing. The earphone gives stiff competition to big guns like JBL, Sony and Skullcandy. I tested the earphone, and it outperformed most of the earphones that come from big brands having much higher price tags. I would suggest you to try it, and you will love it, enjoy it. The sound quality of Audio-Technica ATHCOR150WH is very well with much deeper bass. You are going get a nice experience with rock and bass loaded metallic music. It’s thundering, you are going to be impressed with its heavy and detailed tone. It’s really unbelievable given its size and price. Now, once you have known about its sound quality. Let’s me introduce its built and design. The earphone is intelligently designed for both normal usage and sports activity. So, you can use it the way you want as the need be. You must be thinking how is that possible? Well, the intelligent earphone comes with a snap-off and snap-on flexible ear-hanger. Just put the oval clip when you are going out for your running, sporting or gyming and it will securely hold your earphones saving it from falling outs. Also, the earphone has canal shaped in-ear design that allows you to place your earphone inside your ear canal. This lets you have noise-free music experience by naturally blocking any exterior disturbances. You also get a smart wire organizer from Audio-Technica with this earphone. Thus, you can very easily wrap up your earphone without getting the wires entangled as you store it. Also, you have a wide option for colors, you can choose from your favorite colors black, blue, white, green and many( eight colors). Top earphones under 500 (INR) in India. It’s one of the cheapest and most popular earphones in Indian market from a well-known manufacturer, Philips. You would be well satisfied with its sound quality and durability given its low cost. Although, the earphone doesn’t support mic. Also, it is not much comfort for long hours of use as it employs the only plastic material. Here is another great under 500 earphone from Philips, at somewhat higher price than SHE1360/97 but, with various added benefits and features. One the very first look you can notice the soft and elastic rubber in-ear earbud that apart from being soft and comfortable provide great noise cancellation. You get three different sized ear caps with it to set as per your suitability. Next noticeable feature is the presence of mic that lets you take your phone calls. It uses long wire cable that is completely rubberized for greater durability. And you are also assured with a six-month warranty. 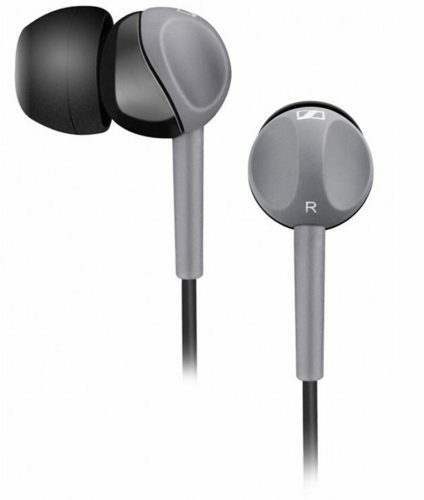 I would suggest you to definitely go for this budget under 500 earphone from Philips. Buying Guide: Some tips to buy best earphones. If you have even searched for a good pair of earphones/heaphones, you might have noticed that there are always some headphones/earphones which offer “Noise cancellation”. So what exactly is this Noise cancellation? If you were looking for the answer to this question then fortunately, you are at the right spot. Today, we will be telling you all about the Noise cancellation headphones. We will be also mentioning some advantages of the Noise cancelation. In the end, we will be also sharing some of the best earphones/headphones that offer Noise cancellation technology. What does a ‘noise canceling’ earphones/headphones signifies? Whenever you see ‘noise cancelling” written in front of any earphones/headphones then it means that it lets you listen to the audio properly without the need for increasing the volume. This means that the noise cancellation based headphones or earphones reduces the background unwanted ambient noise using its active noise control to serve you with an immersive experience while you listen to your favourite music. This sounds to be a really useful feature in theory. In fact, it is a really useful and interesting feature and there are many benefits of having a noise canceling earphones/headphones. Let us now have a look at some of these benefits. There are many benefits of having noise cancellation enabled earphones/headphones. The first benefit is that you can enjoy a clear audio experience even at the minimum volume level thus you will not have to compromise your comfort just to block the unwanted noise from your surroundings. Another great benefit that Noise cancellation earphones/headphones provides is that it is perfect for your Flight or train journey. It will block all the unwanted sound produced by the engine of the vehicle and you will be able to enjoy your music on the go without any sort of hassle. Background noise will not disturb while you talk to your loved ones on call through Noise cancelling headphones/earphones. These were some of the most interesting features of the noise cancellation earphones/headphones. You can get to know about many more benefits by using these yourself. How is it different from Noise Isolation? Some people get confused between Noise isolation and Noise cancellation. Both of these technologies try to block the unwanted noise from the surroundings but both of them use different methods to do this. In Noise isolation, the earcups help to block the ambient noise from the surroundings whereas ambient sound waves are actually cancelled electronically in the noise cancelling technology. Who needs a Noise cancelling earphones/headphones? Another question which arises while talking about Noise cancelling headphones is about the people who actually need this type of headphones. It is a very good option for students and people who travel a lot. If you are a student, then you might know the struggle to learn something but unwanted sound from background disturbs you. A good pair of noise cancellation enabled headphones will definitely help you a lot to ignore all the mess going around you and focus on what you want to learn. Now, we will be having a look at some of the most popular Noise Cancelling headphones which you can buy for yourself. We have mentioned them below along with the buying Link. This was our review in which we have described everything about the Noise cancelling headphones. We tried our best to simplify things so that you can get to know about them easily. We hope that you found this article to be useful. If you have any sort of queries or suggestions then you can put them in the comment section below. I simply want to tell you that I am just new to blogs and definitely enjoyed you’re web page. More than likely I’m want to bookmark your blog post . You actually have great writings. Thanks a lot for sharing your web page. U have missed to mention SENNHEISER CX180 THE NEXT BEST TO JBL110&100A… OTHERS R GOOD BUT NOT UPTO THE QUALITY OF THE given TWO… DOOR DOOR TAK NAHI… ENJOY MUSICING !!!! Thanks for your advice. We are to update the list with some new earphones and would surely include these two. Good to satisfy you. I am Joseph from Bluetooth Gadget Ltd, a Hong Kong based technology business focused on Bluetooth and also wireless items consisting of: Bluetooth headsets, speakers, adapters, charging tools and also range of car accessories. Have you found that the majority of the wireless earphone are not secure sufficient or unqualified to support your lossless music? Please examine our Bluetooth Earphone! It consists of the current innovation, with touch control + LED indications and also supply the very best sound quality amongst the wireless earphones. Hi-Fi High quality! Durable battery! Grand Alloy Body! Mass price depends on amount. Welcome for inquiry! Next story Five best wireless headphones under 2500 in India. Previous story Top five wireless earphones under 2500(INR.) in India.